Recreational Software, Inc. was incorporated in the state of Arizona in 1995 to create and distribute specialized products for shooters. 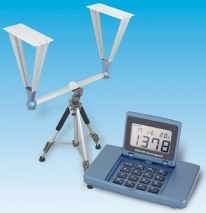 In 2003 we added specialized hardware instrumentation to our product offerings. 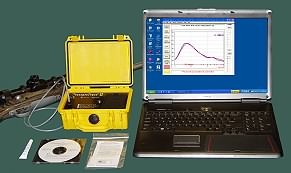 Our ballistics software and barrel pressure testing hardware is used throughout the world by serious shooters, industry, the military and government agencies. Version 4.8 of Shooting Lab supports custom text scaling on high def. screens. First released in 1998, Shooting Lab is fully Windows 8/10 compliant and will run on Windows XP SP2 or newer. Recent releases support Lapua .drg Doppler Radar files, calculate B.C. 's from Labradar, include full drag tables and more. 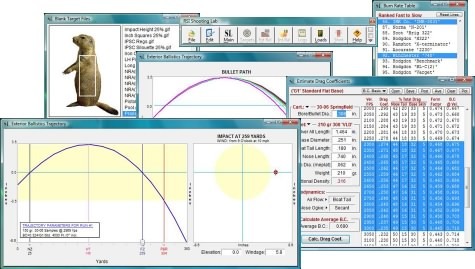 Shooting Lab will more accurately model trajectories to long ranges, estimates bullet drag and gyroscopic stability, keeps load and firearm records, analyzes targets, load density, prints blank targets, box labels and more. It contains everything we believe can be squeezed into software without specialized instrumentation. Shooting Lab should not be confused with simplistic products for smart phones and tablets. It is a comprehensive feature rich product that reflects nearly 20 years of constant development and input from thousands of users. For details, documentation and 30 day demo click here. To Upgrade for FREE, click here. 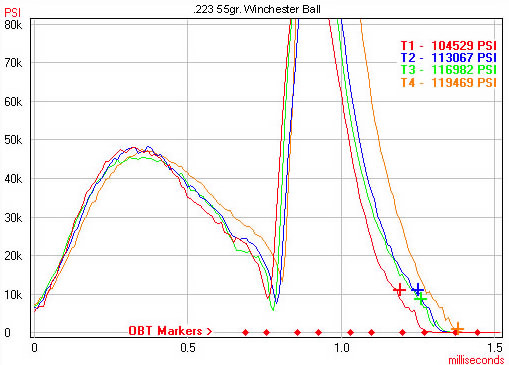 The Shooting Lab program does not forecast pressure and velocity using mathematical models. It is our firm belief pressure cannot be predicted. There are simply too many variables unique to each firearm and a "theoretical" peak pressure has little value for optimizing loads. Theoretical models of what pressure or velocity "should" be can be interesting but do not help shooters isolate the cause of shot to shot variation in "the real world". 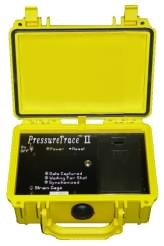 PressureTrace shows the affect of neck tension, distance off lands, bore fouling, etc. and was the first product to incorporate Long's Optimum Barrel Timing (OBT) "barrel harmonic" calculations ... for each shot! Best of all, RSI's products are affordable and can be purchased as individual components for use with equipment you already own. Feel free to try the software on this web site to learn how instrumentation can help improve your loads, reduce the time required to find optimum loads, diagnose problems and more. With the complete RSI Lab System you will be able to measure velocity deviations, calculate ballistic coefficients for bullets shot from your rifle and see pressure curve variations in "real time" right on your PC. Detailed information about these and other products, software, technical articles and other items of interest can be found in the menus at the top of these pages. A good chronograph is a necessary part of any ballistics lab. For decades, serious enthusiasts and handloaders have known a good chronograph is the first piece of instrumentation one should acquire. Optimum accuracy simply cannot be achieved without consistent velocity and shot to shot variations cannot be predicted by mathematical algorithms or load manuals. These are the two chronograph systems we endorse. Proven optical technology used for decades that will work with any firearm. The CED 's large display can be read at 100 yards through a target or spotting scope for calculating Ballistic Coefficients with the RSI Shooting Lab software. No one else offers an optical chronograph with large display, optional IR light kit, USB connectivity, 1000 shot non-volatile memory, sensors that self-adjust for available light and voice chip technology. Chronograph brands range in price from $90 to $900 with precision and functionality across just as wide a specrtrum. None match the features, options and overall value of the $200.00 CED M2 Chronograph. Thousands of shooters have now aquired the Labradar Doppler chronograph. We received serial number 0006 last year and tested it against the popular CED M2 and Magnetospeed. Results were so interesting we added support for both Labradar and Magnetospeed to Shooting Lab. Even with it's few limitations Labradar will no doubt dominate the high end of the chronograph market. Click the above link for an honest review of Labradar and why you may also want one. New Shooting Lab 4.8.9 released! Enhanced Labradar support and atmospheric condition entry options.